Celebrate great news with a gift of the finest. 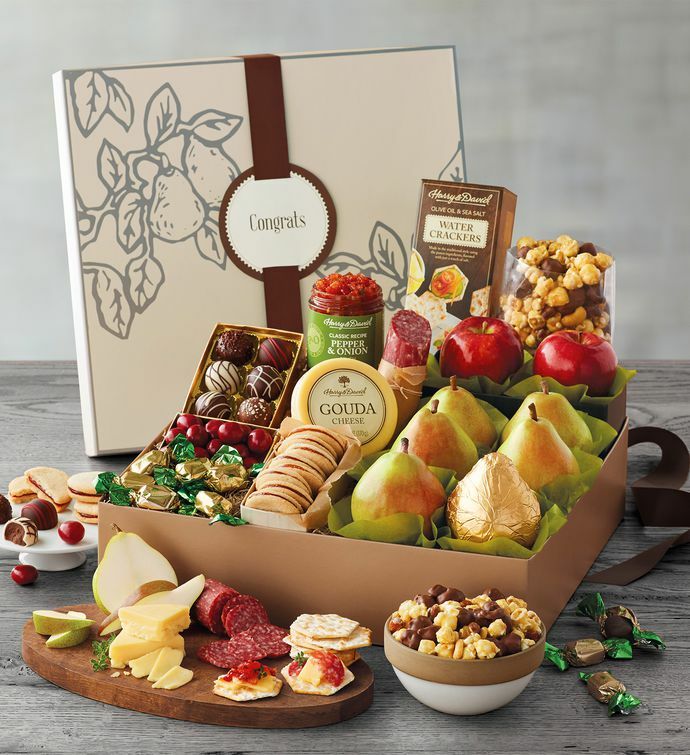 From juicy and delicious Royal Verano® Pears and irresistible Moose Munch® Premium Popcorn to best-of-season apples and so much more, this abundant gift box is the perfect way to share your congratulations. It arrives tied with a ribbon bearing a "congrats" tag.